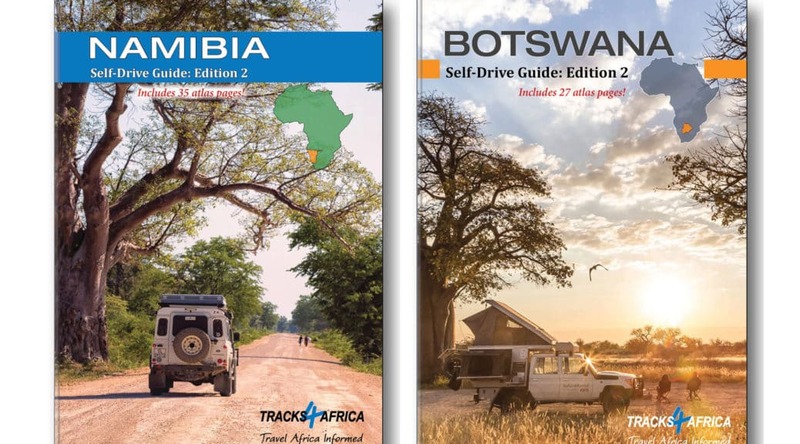 We’re very excited in the Tracks4Africa office this week as after months and months of painstaking effort our second edition Namibia and Botswana self-drive guide books have arrived. Our first editions were very well received, but we needed to update our content and we wanted to add in a few extras. As before, what makes Tracks4Africa guide books so special is the wonderful community that contributes to their creation. These are not guide books written by armchair travellers or the personal experience of a single individual, but the combined knowledge of a whole community of dedicated African travellers. 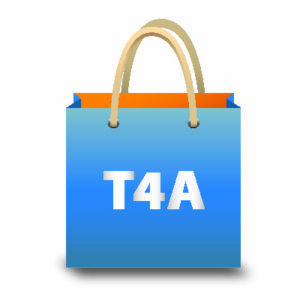 The T4A community travel far and wide – not by luxury bus or safari vehicle but with their own motorbike, sedan or 4×4. Our guide books to Namibia and Botswana are written by travellers for travellers and specifically aimed at self-drive exploration. With the Tracks4Africa Self-Drive Guide Books, you have the answers at your fingertips. And with our community sharing the places they know and love you’re guaranteed to be well prepared and well informed. With the Tracks4Africa Self-Drive Guides to Namibia and Botswana, you can really enjoy the unspoilt beauty of Africa! So, what’s new in the second edition? A new, bigger format: Our new guide books have migrated from A5 to A4 in size. This was done to make space for the new atlas section which features detailed country maps at a scale of 1:1,000,000. The cartography was taken directly from our very popular Tracks4Africa Southern Africa Atlas and we believe that this puts our guide books in a league of their own. Suggested itineraries: We also had many requests for trip planning and decided to include two suggested itineraries for first time visitors. If you’ve never visited Namibia or Botswana, you’ll find a great trip plan with map and descriptions for inspiration. For seasoned travellers, we’ve retained the detailed information on each destination so you can create DIY trips. Updated accommodation: Accommodation and camping were all updated to reflect the latest facilities and contact details and if we couldn’t get hold of a particular operator then we didn’t include them in the book. For community campsites, we made mention where we could not update the content, but left them in for you to explore. Same high-quality printing and binding: The two books are again printed on high quality paper and bound in a glossy semi-hard cover which allows repeated folding without the risk of it breaking along the seam. We used the same method with our first editions and found that this provides a quality product which is sturdy enough to withstand being used inside the car while travelling. A special thanks to our editor: The two books were edited by none other than Neil Harrison who spent many years as the editor of SA4x4. Neil brings with him a wealth of publication knowledge and we are hugely indebted to his expertise. The Botswana guide book includes general information about Botswana, safety and precautions, trip planning, navigation, preparing your vehicle for overland travel, questions on communication, border post red tape, veterinary fences and foot-and-mouth disease, health issues, pitfalls to renting a 4×4 with camping equipment and the gear you should not travel without. 46 towns or destinations are featured, including all the major national parks and game reserves. A wealth of information was researched to answer the kinds of questions a self-drive traveller would ask. The Botswana Self-Drive Guide lists 364 campsites, lodges and other places to stay. Each listing includes contact details, a rate indication, facilities and activities offered, as well as the nearest town and the direction, distance and travel times. Botswana maps are provided at a scale of 1:1,000,000, covering 27 pages with a convenient key for ease of use and route planning. The Namibia guide book also includes general information about Namibia, safety and precautions, trip planning, navigation, preparing your vehicle for overland travel, questions on communication, border post red tape, veterinary fences and foot-and-mouth disease, health issues, pitfalls to renting a 4×4 with camping equipment and the gear you should not travel without. 73 towns or destinations are featured, including the major national parks and game reserves. Each has a general description, providing some background and useful information for travellers. 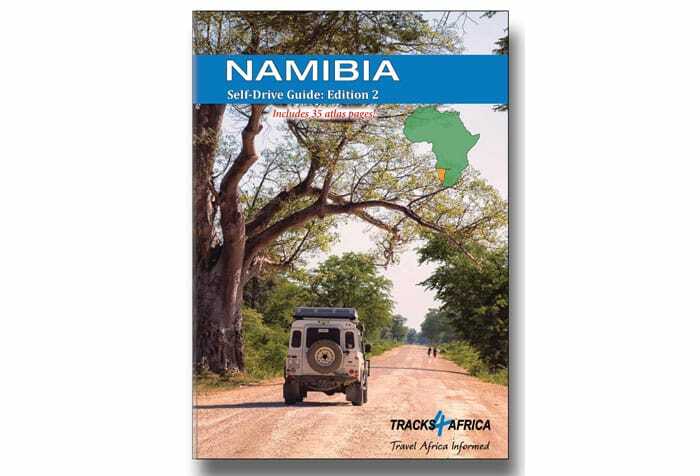 The Namibia Self-Drive Guide lists 963 campsites, lodges and other places to stay. Contact details, rates, facilities and activities are listed, as well as the directions and travel times to the nearest town. Reliable travel times are a unique feature for which Tracks4Africa is well known – essential information when travelling in Africa.